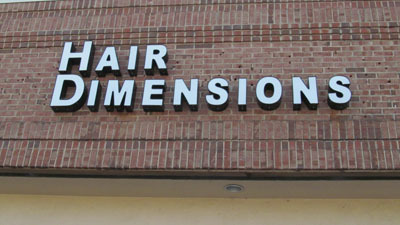 As your friendly neighborhood hair salon, Hair Dimensions is not part of a chain. We do things our own way, and we are a proud locally owned, well-established business. Our salon has a steady group of regulars, but we are always looking for new faces to join us in the hair studio. Whether you're looking for a monthly hair trim or a fancy new style for a wedding or school reunion, we can do your do. Hair Dimensions was founded in 1985, and in the last couple of years, we've steadily added more services and products based on the requests of our customers. In other words, we pay attention to what our customers like and dislike. 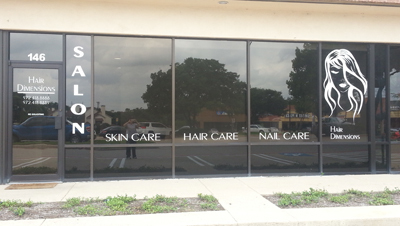 We also carry a complete line of name-brand home hair care products so you can maintain your hairstyle between visits. I want to add that each staff member brings their own personality to the salon and their technique. We all do our service differently and our personalities show that. We are individuals, but we come together as a team.